THE BEST REISSUES OF 2016-PART 1. During 2016, the reissue market seemed stronger than ever. Every week, hundreds of albums were reissued by labels big and small. They range from classic albums to hidden gems. There’s plenty of both on this eight part series, the best reissues of 2016. Having released Norborg, there was no chance that Adelbert Von Deyen would rest on his laurels. He was already contemplating his third album. This would be an album where Adelbert sonically explored the subject of Atmosphere, which lent its name to the album. To help Adelbert on what was essentially a concept album, he enlisted the help of a few musical friends. With a little help from his friends, Adelbert recorded Atmosphere. Critics hailed Atmosphere to be Adelbert’s Magnus Opus. It also featured the hit single Time-Machine, which sold 50,000 copies. When Atmosphere was released, it became Adelbert’s most successful album. It was the result of many months of hard work and dedication. In his home studio, Adelbert honed and sculpted Atmosphere. It’s variously atmospheric, beautiful, cinematic, elegiac and ethereal. Occasionally drama and darkness is introduced. So too are futuristic, sci-fi sounds. Sometimes the soundscapes reveal a melancholy, wistful sound. They’re sometimes ruminative and invite introspection and reflection on Atmosphere where Adelbert Von Deyen reveals nuances secrets and subtleties aplenty. He was well on his way to becoming one of Germany’s most successful musicians. Adelbert Von Deyen helped popularise the music of the Berlin School of electronic music. This he did with his hit single Time-Machine, and albums like Atmosphere which was reissued by Bureau B. 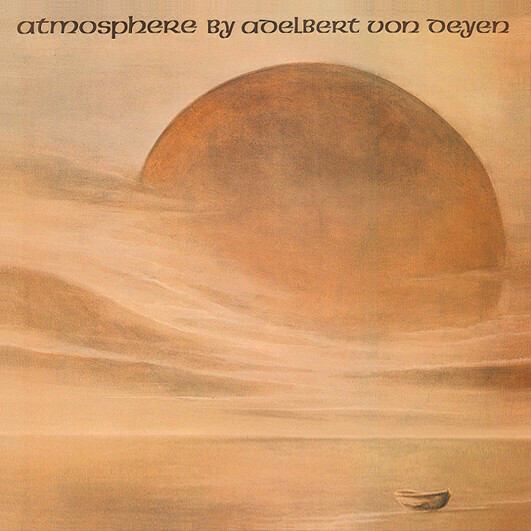 Atmosphere fused ambient, avant-garde, Berlin School, electronica, experimental and Krautrock, and was a career defining album from Berlin School pioneer, Adelbert Von Deyen. After the commercial success of Sternzeit, Adelbert Von Deyen was able to give up his job and devote his energies to making music. This was a dream come true for Adelbert Von Deyen, who had become something of a celebrity in his home town of Lübeck. However, Adelbert Von Deyen wasn’t going to let his newfound celebrity status go to his head. Not when he had his sophomore album Norborg to record. Norborg is evocative, ethereal, elegiac and has a cinematic quality. So much so, that it’s possible to imagine the moon rising over Norborg as nature and the elements take centre-stage on Moonrise. Synths swirl, replicating the gusts of eddying winds, before the sound of seagulls battle the buffeting winds. Meanwhile, Adelbert Von Deyen continues to improvise, sculpting and carefully creating the ruminative, introspective, meditative and sometimes dramatic soundscape that is Moonrise. Iceland where Adelbert recreates the ferocious blizzard he witnessed during his holiday in Norborg. What follows is the perfect musical storm. It builds, ebbing and flowing, veering between dramatic to wistful and melancholy. Always, there’s a cinematic quality to this ambient soundscape. 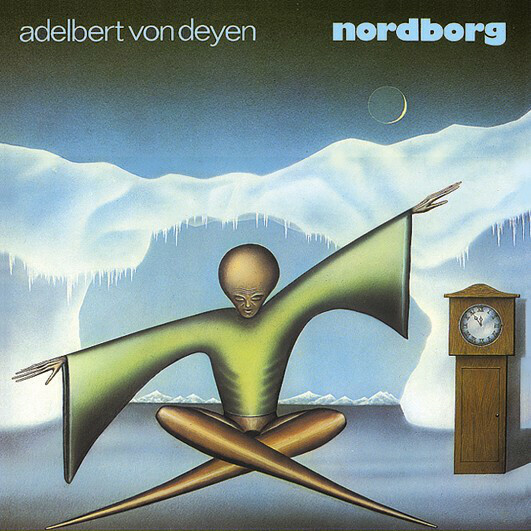 It finds Adelbert successfully combining ambient, avant-garde, Berlin School and electronica on his much-anticipated sophomore album Norburg which was reissued by Bureau B. Norborg’s ethereal beauty was sure to find an audience, and that proved to be the case. When Norborg was released by Sky Records in 1979, unsurprisingly, it was to widespread critical acclaim and commercial success. In 1977, Adelbert Von Deyen was working as a retoucher for a Berlin newspaper. While this kept him busy during the day, Adelbert had plenty of free time in the evenings. Wanting to put his free time to good use, Adelbert decided to take up a hobby. The hobby Adelbert Von Deyen chose was music. He assembled an array of musical equipment which he quickly mastered. 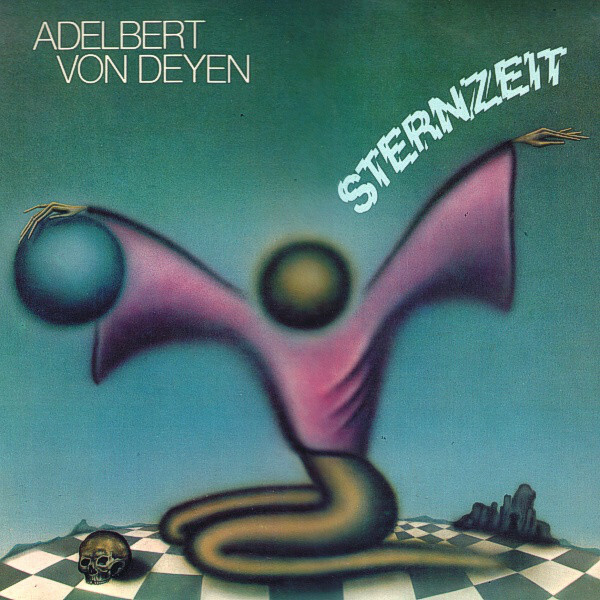 So much so, that within a year, Adelbert Von Deyen had recorded what would become his debut album Sternzeit. It was released by Sky Records, and was reissued by Bureau B.
Sternzeit was the result of eight months work of hard work and dedication by Adelbert Von Deyen. He worked long hours crafting and sculpting two lengthy complex, multilayered soundscapes. They’re variously atmospheric, cinematic, dramatic, elegiac and ruminative. There’s also beauty, darkness and sense of melancholia on Sternzeit, as it reveals its secrets, subtleties and nuances. The result is compelling album which would later, and quite rightly, be hailed a Berlin School classic. No wonder. The music on Sternzeit was groundbreaking and way ahead of its time. That was the case with many within the Berlin School. However, Adelbert Von Deyen would become a leading light of the Berlin School, and his music would go on to influence two generations of musicians. However, Sternzeit, which was recently released by Bureau B, was just the first chapter in Adelbert Von Deyen’s long and illustrious career. Hans Kumpf formed his new improv collective whilst he was at teacher training college. This he called AK Musick. There were two reasons for this. AK was an abbreviation of the German word for workshop; while Musick was a mixture of the English and German words for music. Now the nascent band had a name, Hans Kumpf began setting out AK Musick’s musical philosophy. The new collective would take a different approach to music. They were determined to: “make music in a very democratic way,” with each member having their say and everyone’s opinion proving equally valid. With their musical philosophy in place, AK Musick began making music and released their eponymous debut album in 1972. It’s a fusion of disparate influences, instruments and genres. This includes avant-garde, experimental, free jazz and elements of African, Berlin School, industrial and Krautrock. The music of avant-garde composers Johannes Fritsch and especially Helmut Lachenmann influenced AK Musick. They recorded ambitious, experimental and innovative music. Sadly, the music on AK Musick was way ahead of its time. Record buyers failed to understand this groundbreaking, genre-melting album. It was only much later that AK Musick received the recognition that their music so richly deserved. 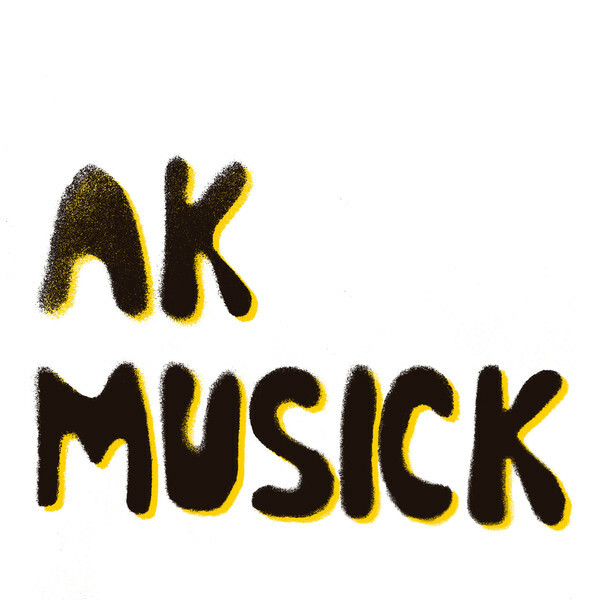 Nowadays, a new generation of music fans have discovered AK Musick. It was reissued by Mental Experience, an imprint of Guerssen Records, forty-four years after the release of AK Musick on Hans Kumpf’s AKM Records. Baumann/Koek had a dream. That dream was to release an album. So they bought musical equipment and recorded their eponymous debut album. This they took the album to Conny Plank to mix. 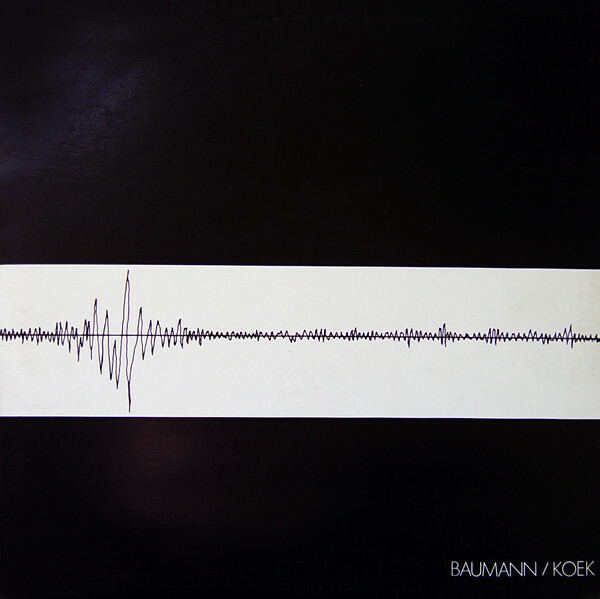 Once he had sprinkled his magic dust, Baumann/Koek decided to self-release their eponymous debut album. They had 1,000 albums pressed and Baumann/Koek was released in 1978. Before long, Baumann/Koek was selling well within Germany. It was then that the Swabian wholesaler Jaguar Records offered to distribute Baumann/Koek worldwide. This seemed like too good an offer to refuse. Sadly, it was. Not long after Jaguar Records took over the worldwide distribution of Baumann/Koek, the company became insolvent. Soon, Jaguar Records was declared bankrupt. For Baumann/Koek this was a huge blow. They decided that they couldn’t risk any more of their capital releasing another album. That was great shame, given the quality of music on Baumann/Koek. It’s veers between cinematic and dramatic, to elegiac and ethereal to hypnotic and mesmeric. Sometimes the music is hook-laden, irresistible and melodic. Especially as the listener is swept along atop synth strings. Then as Baumann/Koek draws to a close, a slice of boogie unfolds and Baumann/Koek rock into the distance. Sadly, there was no encore. However, Bureau B reissued Baumann/Koek in 2016. It’s a hidden gems of the Berlin School and a timeless, cult classic that should’ve marked the beginning a successful career for Baumann/Koek. 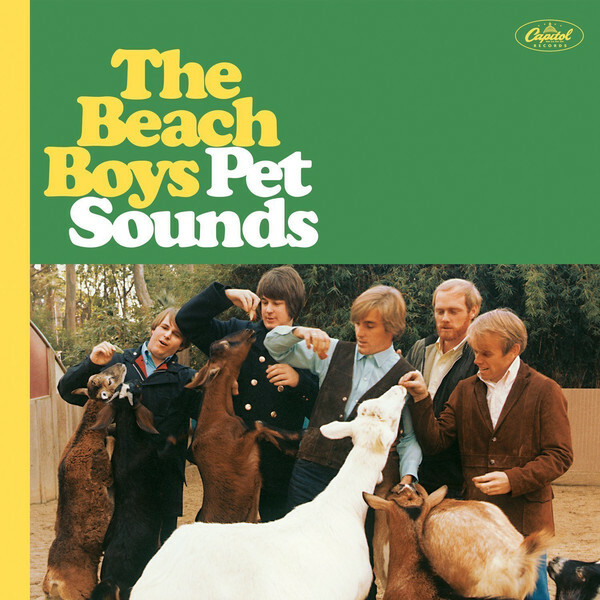 Beach Boys-Pet Sounds-50th Anniversary Edition. When The Beach Boys released their eleventh album Pet Sounds in May 1966, it was to mixed reviews. Worse was to come. Pet Sounds then failed to match the commercial success of previous albums. Despite that, critics still called Pet Sounds a commercial success. Still though, critics didn’t realise that Pet Sounds was a groundbreaking, classic album. That would only become apparent later. Why critics failed to realise this seems strange? Brian Wilson had collaborated with Tony Asher on what was a truly ambitious, epic album. Pet Sounds features symphonic, multi-layered arrangements. They feature layers of harmonies, harpsichords, flutes, theremins, organs, a variety of stringed instruments and sound effects. So do barking dogs, bicycle bells and the sound of trains. They’re part of a lysergic musical collage. However, sometimes, Brian Wilson looks to the past for inspiration, Especially, Phil Spector’s Wall Of Sound production style. It played its part in the sound and success Pet Sounds, which celebrated its fiftieth birthday in 2016. This resulted in yet another reissue by UMC of the cash cow that’s Pet Sounds as a two CD set. That’s no surprise, given Pet Sounds is now regarded as a psychedelic classic and an album that inspired and influenced several generations of musicians. Pet Sounds was also The Beach Boys finest hour. Never again, would they even come close to reaching the heights of Pet Sounds, which nowadays, it seems are Brian Wilson’s favourite words. 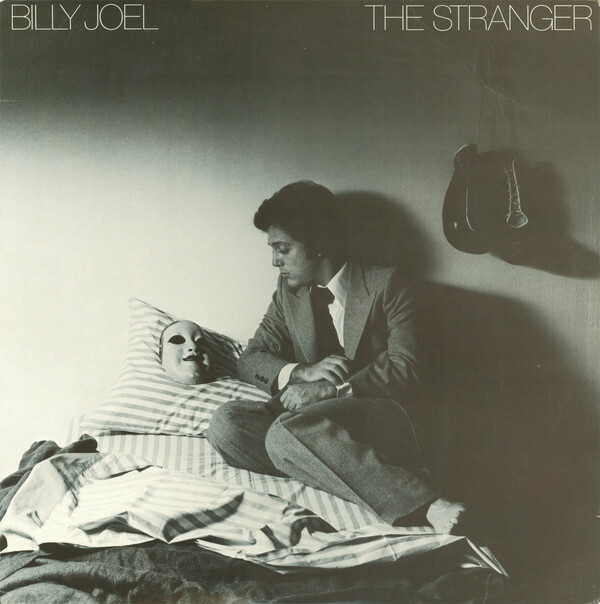 When Billy Joel released his fifth album The Stranger on 29th September 1977, it proved to be a game-changer. His previous albums had been moderately successful. However, The Stranger was Billy Joel’s breakthrough album. It was released to critical acclaim and reached number two on the US Billboard 200. The Stranger sold ten million copies in America alone, and was certified diamond. Elsewhere, The Stranger was a huge seller in Canada, France, Hong Kong, Japan, New Zealand and in the UK. After six years, Billy Joel was one of the most successful singer-songwriters. Surely, things couldn’t get any better? Billy Joel released Just The Way You Are on 26th September 1977, This beautiful paean reached number two and was certified gold. Then in 1978, Just The Way You Are won Grammy Awards for Record of the Year and Song of the Year. Incredibly, Just The Way You Are was just one of four singles from The Stranger. It marked the coming of age of Billy Joel. He had matured as a singer-songwriter over the past six year. Proof of that were songs like Movin’ Out (Anthony’s Song), Just the Way You Are, She’s Always A Woman and Only The Good Die Young. However, produced Phil Ramone innovative production methods played an important part in The Stranger. It was the most successful album of Billy Joel’s career, and nowadays, The Stranger which was reissued by Columbia regarded as a classic album. Often, Record Store Day sees the release of several cult albums. 2016 was no different. 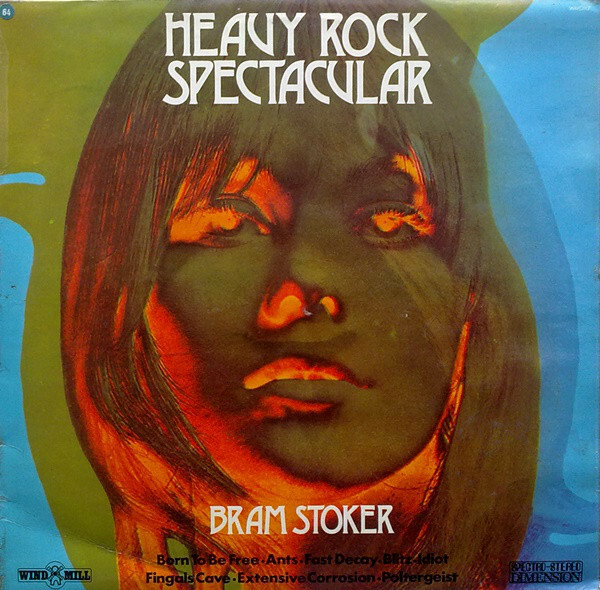 Bram Stoker’s 1972 album Heavy Rock Spectacular was reissued by Talking Elephant Records on coloured vinyl. 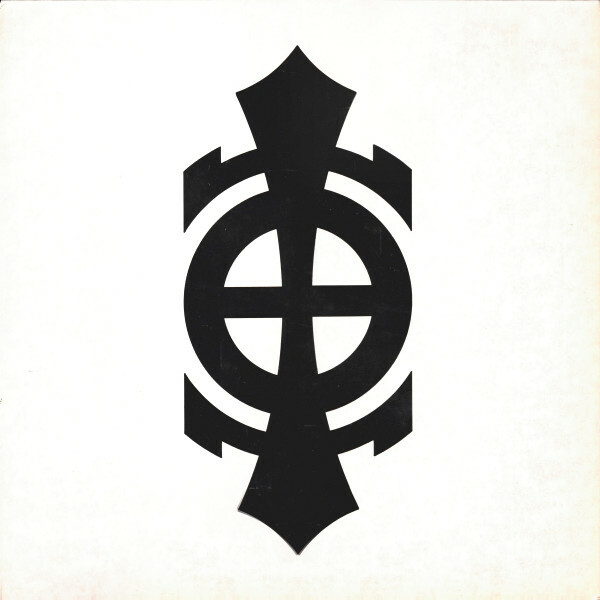 This was a welcome reissue and a reminder of a band who should’ve reached greater heights. Bram Stoker were formed organist Tony Bronsdon in Bournemouth, in 1969. Three years later, Bram Stoker were enjoying a modest amount of success and about to release their debut album Heavy Rock Spectacular in 1972. It’s a carefully crafted epic where four virtuoso musicians combine progressive rock with elements of jazz and classical music. The result was Bram Stoker’s debut album Heavy Rock Spectacular, which sounded not unlike The Nice. Alas, when Heavy Rock Spectacular was released by Windmill Records, it failed to find an audience. Later, Bram Stoker’s carefully crafted progressive rock epic began to acquire a cult following. They appreciated Heavy Rock Spectacular, which nowadays, is regarded as one of the lost classics from the progressive rock era. 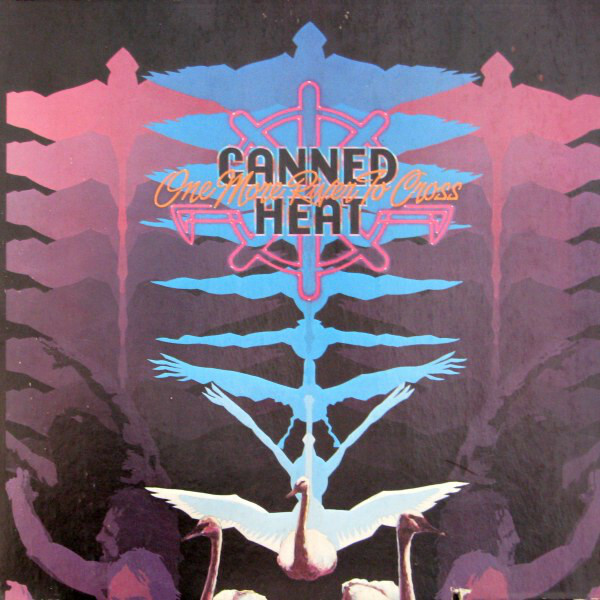 Canned Heat-One More River To Cross. After releasing nine albums for Liberty Records, Canned Heat signed to Atlantic Records in 1973. Later in 1973, Canned Heat released their tenth studio album One More River To Cross, which was reissued by BGO Records. Canned Heat hoped that One More River To Cross was the start of a new era for the band. Roger Hawkins and Barry Beckett’ were brought onboard to produce One More River To Cross. They also brought along the Memphis Shoals Horns. This was part of their makeover of Canned Heat’s sound. They seamlessly switch between and combine blues and boogie with funk, R&B, rock and Southern Soul. Ballads, blues and boogie sat side-by-side with funky jams, R&B and rock ’n’ roll. There was something for everyone. Alas, One More River To Cross failed commercially. Canned Heat’s relationship with Atlantic Records was brief and expensive. However, One More River To Cross is one of the most underrated albums Canned Heat released between 1967 and 1973. Canned Heat seemed to have been reinvigorated by the change of studio and producer on One More River To Cross, which is an of-overlooked hidden gem of an album. Across Germany, each city had a vibrant underground musical scene. That was the case in Frankfurt, where Dierk Leitert and Mike Bohrmann were making music as Circles, and in 1983, were about to release their eponymous debut album. Circle was reissued by the Mental Experience label, w an imprint of Guerssen Records and is a reminder that there was life after Krautrock. When Circles was released, it was well received by critics. They recognised oy was a groundbreaking album from one of the most talented groups in the post-Krautrock era. Despite the reviews, Circles didn’t sell well, and remained an underground album. Record buyers missed out on a groundbreaking, genre-melting album. It’s a fusion of ambient, avant-garde, electronica, free jazz, psychedelia, rock and Eastern music. Krautrock has also inspired and influenced Circles. Especially, groups like Anima, Embryo and Cosmic Jokers, a plus Dueter and Irmin Schmidt. Sometimes, the influence is brief, other times it’s more it’s noticeable as a captivating, innovative and genre-melting album unfolds. Circles features everything from Faustian collages to captivating soundscapes. They’re variously futuristic, lysergic, mesmeric, hypnotic and dreamy. They’re also part of an album stood head and shoulders above the musical competition. Alas, only a few discerning musical connoisseurs were aware of Circles. They realised it was an album that deserved to be heard by a much wider audience. This wouldn’t happen until much later, and nowadays Circles is receiving the recognition it so richly deserves. ← THE BEST REISSUES OF 2016-PART 2.